Big Data seems to be the marketer’s thing these days. For the first time in history we have the number-crunching power to understand massive amounts of real-time data on consumer consumption habits. The modern marketer needs to understand and harness this power. However, despite what big data companies will tell you, there are limits to what it can deliver. Information isn’t insight. 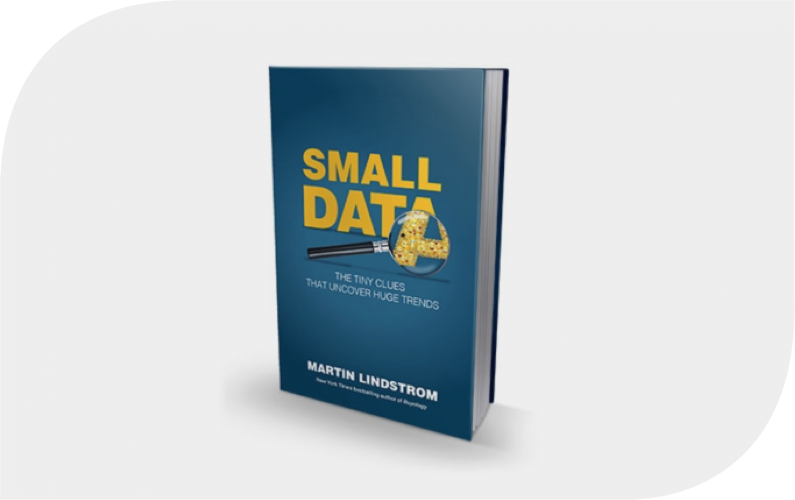 The ethnographer and brand innovator Martin Lindstrom recently published Small Data, a book filled with case studies about how tiny clues found through ethnographic research and emotional insight mining drove significant brand growth–insights that big data would never have uncovered. For example, he found that moms across remote Russia had a common behavior of covering their refrigerator with colorful little magnets. In a culture often dominated by males, these magnets were a subtle expression of wishes the women had for excitement and fulfillment– with colorful magnets showing exotic vacation like Paris and Rome and objects of interest. Even the placement of these magnets revealed important insights as moms typically placed themselves at the center of this magnet collage. He used these insights to help a company create a successful website targeted to women in Russia. In recent work for BAND-AID, Brandgarten conducted emotional insight interviews in Japan, China and the US that revealed moms often stored their BAND-AIDs on the top shelf of the medicine cabinet–far away from the reach of toddler hands. When we probed this behavior, the moms told us that it was common for the toddlers to use up all the bandages on “imaginary boo-boos,” sometimes covering themselves with BAND-AIDs. Further psychological probing revealed BAND-AID’s role as a “transitional object” for the toddlers — a security blanket that reminded them of mom’s love and caring even when she wasn’t there. We learned that when mom covered the cut or boo-boo, she was giving more than a bandage–she was giving “love that sticks.” This led to a powerful new global brand idea from BBDO called “covering is caring,” which the brand has used to grow its business around the world. These are powerful insights that separate beloved brands from generic players and they would not have been uncovered by Big Data. It is clear that marketers who want to win today still need tools such as ethnography and emotional insight research to identify winning insights and build compelling brand strategies.